Tap the page thumbnail in the Documents view and choose Add empty page to add a new empty page or Duplicate to add a duplicate page. 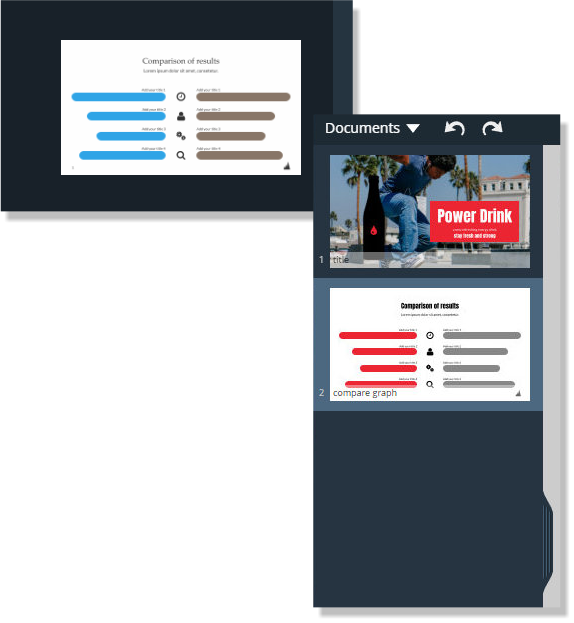 This will take you to the Document picker for you to select a new page to add to your document. 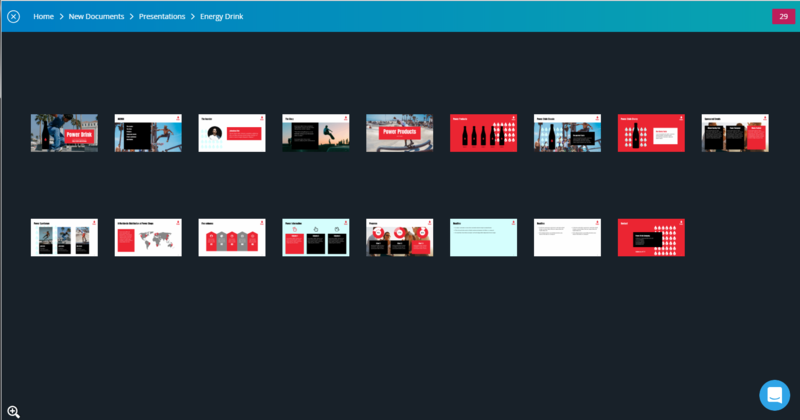 This is useful when you want to add another page from a template like a presentation for example. 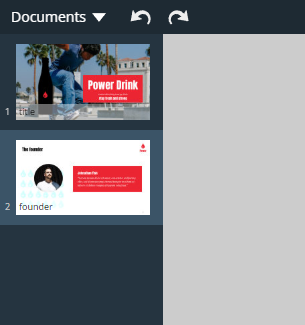 The slide is added to your presentation, and appears beneath the last slide in the thumbnail view. The slide doesn't have to be from the same presentation. To add one from another presentation just tap on the document path - the breadcrumbs to take you up a level.